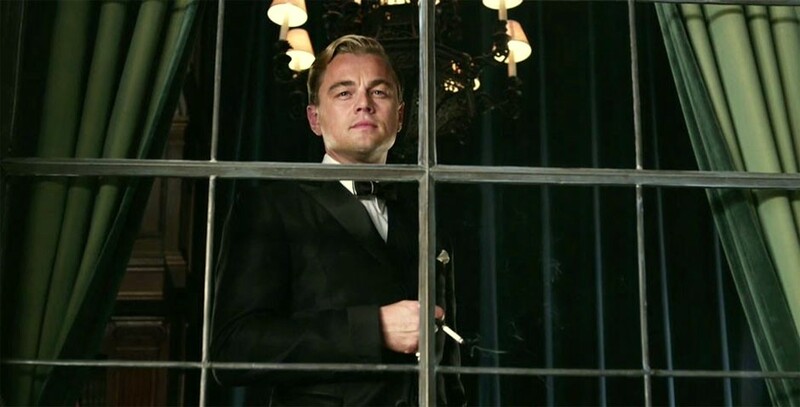 As wealthy Jay Gatsby, actor Leonardo DiCaprio walks out to the edge of the millionaire's private dock and reaches for a shiny green light cutting through the mist. Over the image, Tobey Maguire's Nick Carraway redundantly paraphrases what F. Scott Fitzgerald so eloquently wrote for his famous narrator in The Great Gatsby, "...he stretched out his arms toward the dark water in a curious way, and far as I was from him I could have sworn he was trembling. Involuntarily I glanced seaward—and distinguished nothing except a single green light, minute and far away, that might have been the end of a dock." This scene is so brief and indelible in Fitzgerald's novel, yet it speaks volumes about its enigmatic central figure. Coupled with Carraway's unnecessary exposition in Baz Lurhmann's new film, the wistful moment becomes leaden with portent. So much so, that I re-watched the same scene in the 1974 screen adaptation last night on Netflix and, after ending up drawn into viewing the rest of the film, was struck by how fluidly director Jack Clayton wordlessly elides through the pivotal moment. Granted, the austere 1974 version has its own set of problems. But as cold as it is, it seems practically definitive next to Lurhmann's tricked out translation. Lurhmann (Moulin Rouge!) is nothing if not flamboyant. Though many critics have targeted him for his stylistic excesses, I have never been one of them. Even after he lost a considerable amount of defenders with his last epic, Australia (2008), I continued to stand up for him and his vastly underrated spectacles. Because let's face it. Is there any director out there right now as guileless and earnest about his lust for the lavish in cinema? His whirlwind camera moves, kaleidoscopic production design, and near-lurid emotional landscapes are qualities the filmmaker puts to the service of cinema in spite of their effect on the box office not because of it... unlike, say, Michael Bay (Pain & Gain). Bay's over-the-top technique buries the substance of his films (or what little there is of it) in the rather naked pursuit of box office earnings. With Lurhmann, one gets the idea that he just can't restrain himself despite the fact that audiences are rapidly losing favor with his brand of camp filmmaking. Perhaps the greatest American novel, The Great Gatsby anticipates the Great Depression by quite a few years, its tale of unrequited love in the Jazz Age a metaphorical expression of the classist malaise that had begun to afflict the country. If Fitzgerald injects a bit of glamorous danger and glitzy sheen into the story, it is only to articulate the shallowness plaguing the high society at the heart of his book. With today's audiences just beginning to come out of their own post-recession doldrums, The Great Gatsby is particularly resonant and ripe for a new screen adaptation, especially since previous versions have captured either its dark romanticism or its socio-economical subtext but never both. Given its period setting, the haute Roaring Twenties, the project seems tailored for a director like Lurhmann. But like Jay Gatsby himself, Lurhmann reaches into the ether for something too distant for him to grasp. Thanks to production designer Catherine Martin and DP Simon Duggan The Great Gatsby looks the part, beautifully appointed for entrance into the latter part of the year's awards season. But even a movie art directed to within an inch of its life is not necessarily competitive enough to pass muster in the company of the industry's finest when it lacks soul. 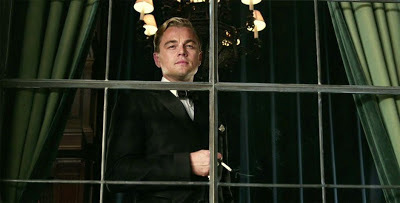 And, ironically for a movie about the morally bankrupt nouveau riche, that is what is missing in The Great Gatsby—a fact confirmed by Warner Brothers' decision to delay its opening from December 2012's Oscar season to this Friday, one week into the summer blockbuster period. 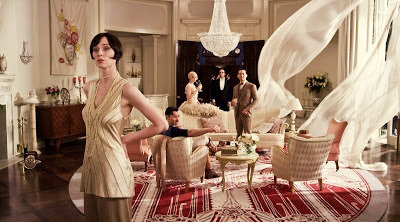 The Great Gatsby is gorgeous to look at. But Lurhmann seems caught up in its enchanting setting, losing his audience in the abundant minute details of the era's architecture, fashion and cultural anomalies. Lurhmann's decision to fuse then dangerous jazz with the "forbidden" earthy ethnicity of hip-hop (courtesy of Jay-Z) would seem more inspired if it wasn't for the fact that hip-hop was only cutting edge thirty years ago, before it was appropriated by the white establishment. And from top to bottom, all of the central characters are miscast. Two notable exceptions are Joel Edgerton as a not entirely unsympathetic Tom Buchanan and newcomer Elizabeth Debicki whose utter commitment to looking the part of brittle flapper Jordan Baker appropriately masks her alter ego's steely resolve to manipulate from not-quite-afar. Strangely enough though, it's Lurhmann's literal-minded fidelity to the novel—his insistence on emphasizing Fitzgerald's words when imagery would be sufficient—that sinks The Great Gatsby. At considerably less than 200 pages, The Great Gatsby is a dreamy, gossamer fable. For a movie based on such a story, already top-heavy with a trowel full of gaudy delights by its bombastic director, laying the author's own text on top eventually proves too much of a burden. I don't want to judge a movie I haven't yet seen, but your review seems to confirm what I've assumed from the the film's trailers: that 'The Great Gatsby' is very excessive (3-D? rap music?) compared to the slim original text.